Yay Shantotto! You're the best! 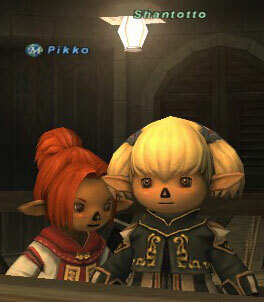 I know I poseted the same question,,, I just went yoo SHantotto to try and get the quest again,, Al she says to me is * hello goodby * and calls me a plebian Grrr I have dont the two quests Heeeeelp please what I am missing ??? #TaruTasteGood, Posted: Nov 20 2004 at 8:08 PM, Rating: Sub-Default, (Expand Post) Pikko needs to be put down like the dog she is. Maybe she doesn't like blondes?